My latest obsession is urban chic experience site Citymob. The site launched in November 2010 by three talented South African entrepreneurs, looking to provide city dwellers with access to unique lifestyle products and designs. So as you can imagine, I immediately signed up to have a nosy around and well, I can safely say my face has been firmly planted to my computer screen ever since. The site caters for all covering everything from men’s and women’s couture fashion to exclusive, yet affordable home decor, accessories and gifts. 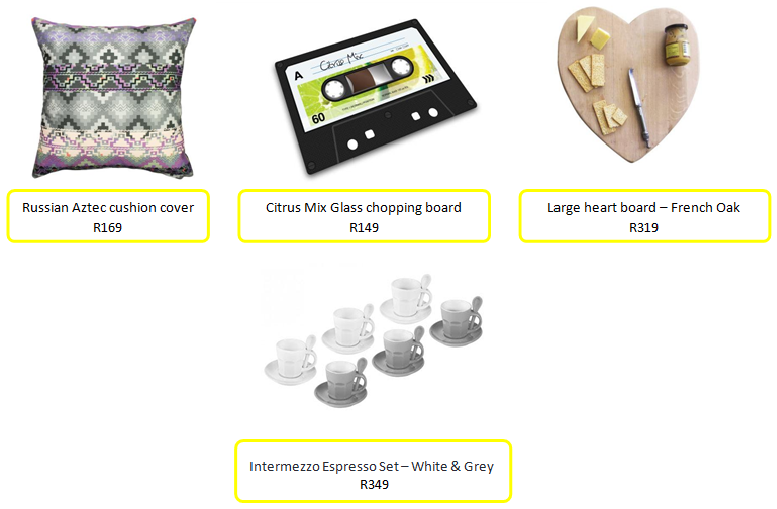 So I thought I would share some of my home decor favourites with you, but please do yourself a favour and visit the site and treat yourself to their fantastic daily deals. To the City Mob founders, Claude Hanan, Luke Jedeikin and Daniel Solomon – I applaud you!